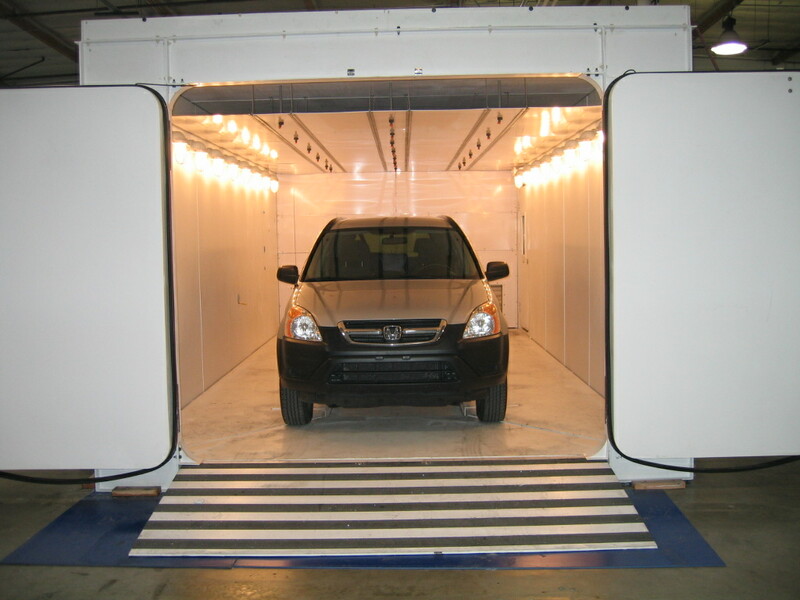 Inflatable door gasket on vehicle access doors assures tight sealing surface, minimize solution losses. Composite fiberglass panel construction assures durable construction, long life and reduced installation time. Variable airflow across vehicle with integral “drain and return” system enables good coverage and re-use of circulated solution.